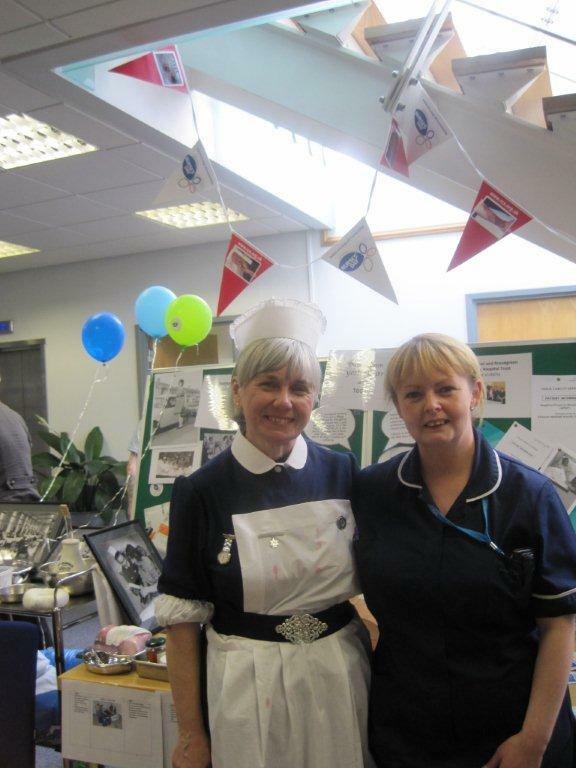 Nurses` League member Mary Harrison and her colleague Lisa Blundell seen in front of their stand at the Nurses Day Exhibition at the Royal Liverpool Hospital. Mary is the Lead Tissue Viability Nurse for the RLBHT. Mary is sporting the old sisters uniform.